"A very good light summer dish. I serve it with sliced tomatoes, feta cheese, and garlic bread." 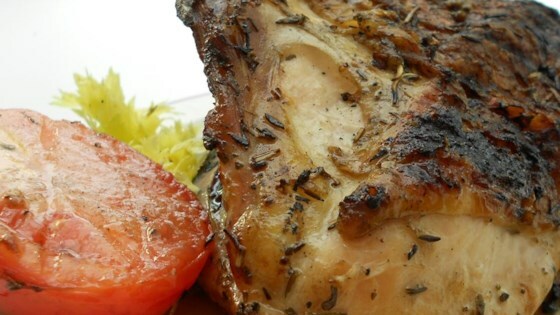 Chef John's marinated chicken delivers big, bold Greek flavors! Very delicious. I cooked mine in the oven 400 degrees about 45 to 50 min. I would definetly make again. I also added potatos in with my dish and they were so good!!!!!! This dish is really, really easy. I didn't have fresh rosemany so I substitued a teaspoon of crushed rosemary and it turned out great. this was wonderful! The juice from 2 lemons came out to about 1/4 cup. Will be making this again soon.